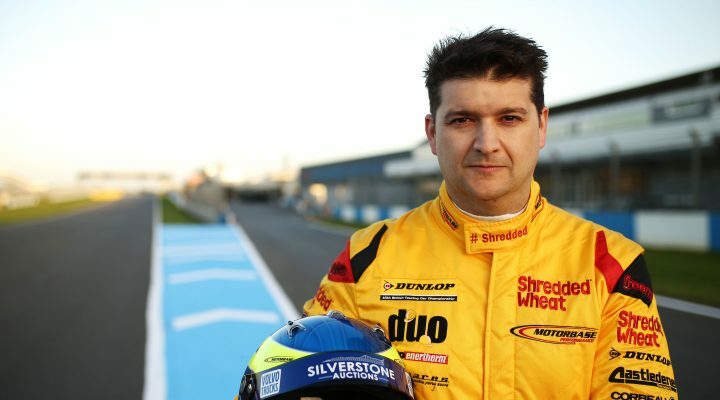 Team Shredded Wheat Racing with Gallagher is targeting glory this season, after re-signing 31-time race-winner Mat Jackson to run alongside new team-mate Tom Chilton for its 2018 Dunlop MSA British Touring Car Championship campaign. Jackson returns to the Motorbase fold for his ninth consecutive year as part of David Bartrum’s squad, and after a challenging 2017 season, the 36-year-old is hungrier than ever to add a maiden BTCC title to his impressive tally of 31 race wins and 79 podiums from his 333 BTCC race appearances. Team Principal David Bartrum said: “I’m really happy to continue with Mat alongside Tom this season, it’s a very strong line-up. Mat has helped us get the car to where it is now and has been with us from the start of our NGTC journey so it seems fitting for him to join Tom in what should be our strongest campaign to date with the new Focus RS. Jackson added: “It’s great to be back with Motorbase and Team Shredded Wheat with Gallagher for another crack at the Championship. I’m looking forward to it immensely. “I know that the guys have been hard at work over the winter to improve the pace of the car and there’s been a huge amount of hard work that’s gone in from their side. Jackson will revert back to his lucky #7 racing number for the 2018 BTCC campaign with Chilton picking up the team’s previous #3 on his maiden Motorbase season. Both drivers will sample the new Focus RS machinery for the first time early next month when the squad heads to warmer climes in Spain to commence its preseason testing programme.